Wrap up warm, grab your walking boots and go in search of your own winter wonderland! Here's where the Muddy team will be striding across Bucks & Oxon over the coming months. You know the festive drill – you’ve eaten your bodyweight in turkey, nailed an entire box of Quality Street, drunk approximately 8,000 units of wine, sherry, Champagne and Baileys and have been slumped on the sofa for three days straight. 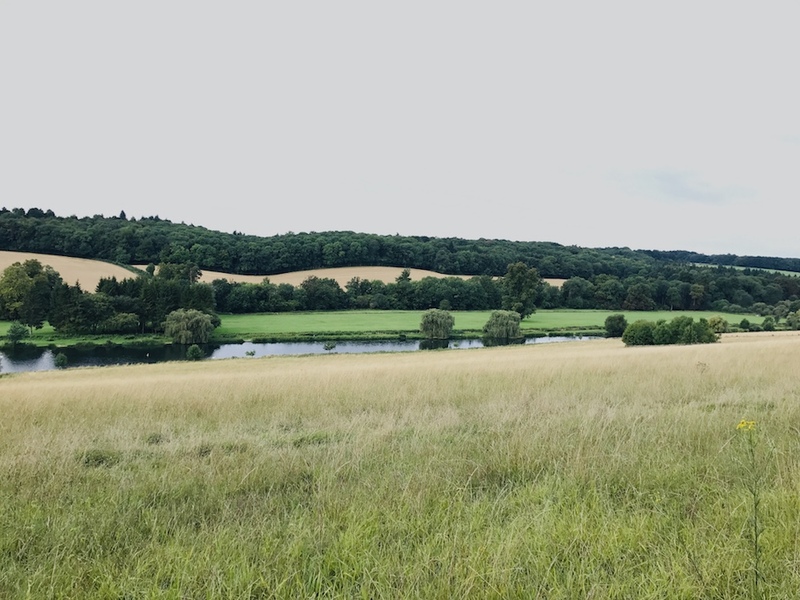 In the immortal words of George Michael (RIP), let’s go outside – ideally for a long, bracing walk around one of Bucks or Oxon’s prettiest locales. 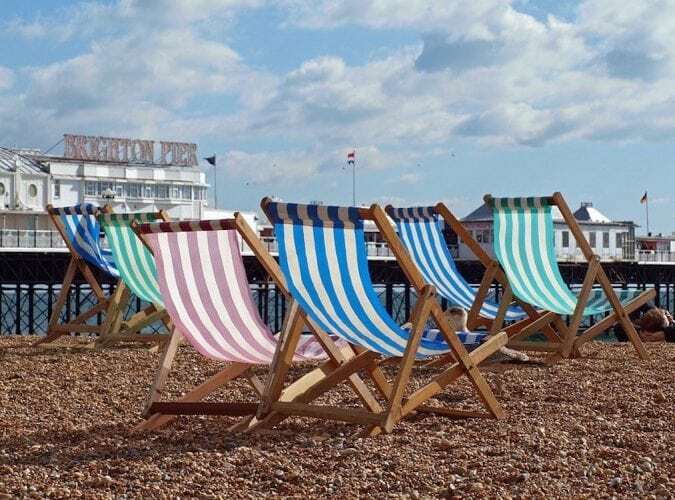 The Muddy team have all picked their favourite strolls for post-Christmas and into New Year, all with a pitstop close by. Grab your wellies and let’s go! It’s unusual to find so much sprawling green space slap-bang in the centre of a city and that’s what makes Oxford’s Port Meadow really special. It’s pretty flat so fine for small children and while a jaunt up the meadow will take around 45 minutes (er, one way), you could also try this much longer 7 mile stomp from Grandpont up to Wolvercote, that takes in Port Meadow, if you fancy really blowing away the cobwebs. 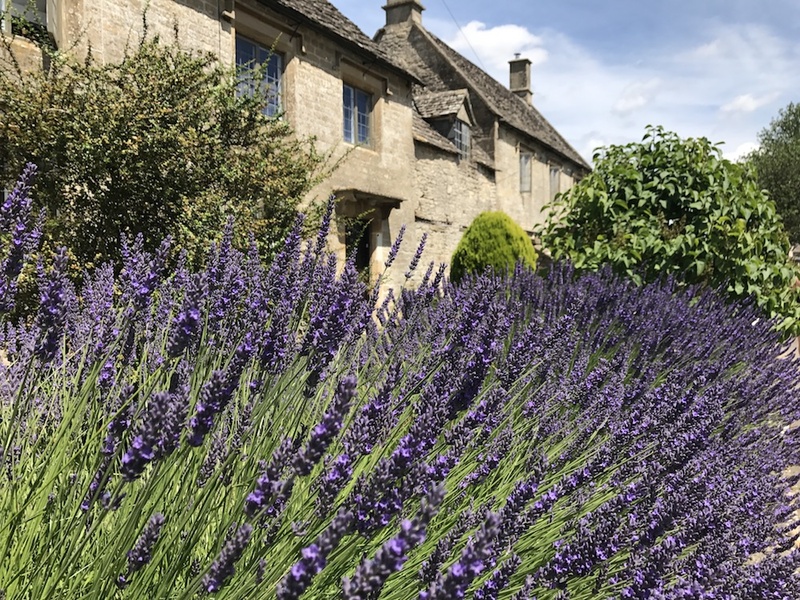 And because you’re in central Oxford, you’re spoilt for choice when it comes to refreshment pitstops – lovely pubs in the city include The Anchor or The Rickety Press, or stop en route at The Perch, The Trout at Wolvercote or Jacob’s Inn. This is our usual family weekend trail, although bear in mind there are stiles along the route so it’s not ideal for prams. Start at The Crown pub in the diddy Bucks village of Cuddington, walk past St Nicholas Church and head down the side of Tyringham Hall, all the way to the duck pond and into the fields, past a farm to Nether Winchendon, with its lovely thatched cottages and the stunning Nether Winchendon House. 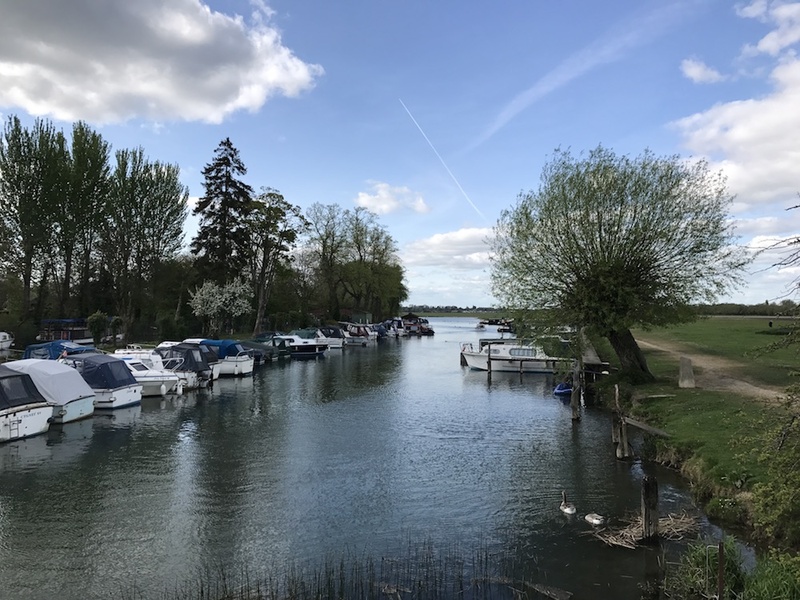 You then amble through the village, past a pink cottage to the river, over the bridge (ideal for Pooh Sticks) and then back to Cuddington – and a well-deserved drink or lunch at local thatched pub The Crown. This walk is a good choice for the summer too, when you can paddle in the river and pick cherries. Here’s where I’ll be trying to run my little darlings ragged over the festive period. 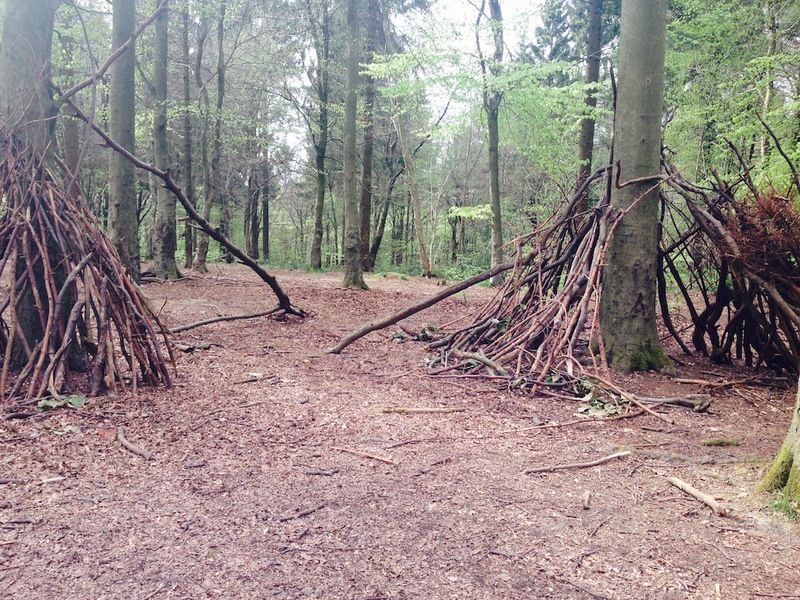 There are loads of well-marked trails of varying lengths, including one with Gruffalo sculptures, a new, bigger car park and a Go Ape for older children. I tend to swerve the on-site café queues and drive down the hill to Wendover’s lovely town centre instead. Charming chocolaterie Rumsey’s is perfect for a cockles-warming hot chocolate, Lucca does kid-friendly modern Italian and the buzzy, welcoming King & Queen is your spot for pub grub and a pint. Over the other way into Aston Clinton is the excellent The Bell pub. I sometimes walk around here on a weekend through the woodlands and wetlands – it’s very peaceful after a frantic week at work, gazing out across the water, watching the sailing boats bobbing around. It’s a four mile loop and take around two hours, is pretty flat and there’s a handy car park. And it’s a good one for twitchers – there are bird-watching huts dotted along the route. It gets muddy in the winter so you’ll definitely need those wellies. If you’re after super-local, The White Hart of Wytham or The Bear & Ragged Staff are both sure bets. Head a couple of miles further down the road afterwards for a family-friendly pie and pint at The Fox in Boar’s Hill, or the delightful thatched pub The Perch in Binsey. I like this one because it takes in both town and country. The route is here in detail but you basically start by walking through Higginson Park by the river bank, heading along the towpath away from town and eventually coming to Rassler and then Davenport woods, before heading back into civilisation. 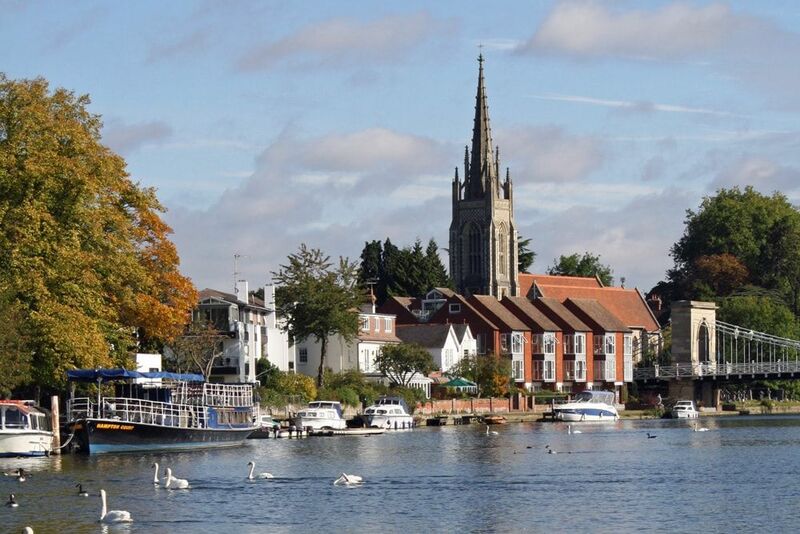 And take your pick in the town centre for a post-walk tipple or bite – The Botanist is great for cocktails, The Chequers serves fantastic meat dishes, take your chances on nabbing a table at Tom Kerridge’s exquisite The Coach, or head to The Ivy Marlow Garden for a more glitzy experience. Where better to go for a festive walk than Christmas Common? 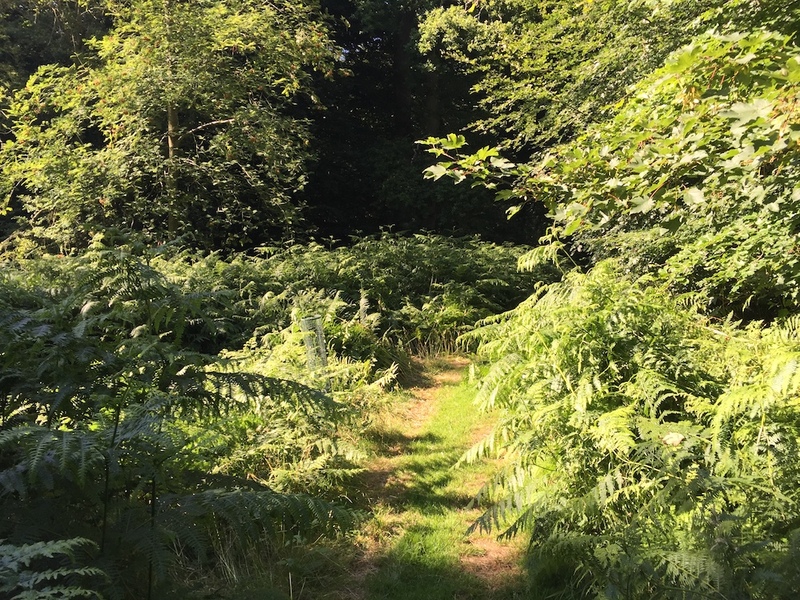 There are three different walking routes, all of which start/finish at the National Trust car park at the top of Watlington Hill, and range from 2.5 to 6 miles, with red kites swooping above. 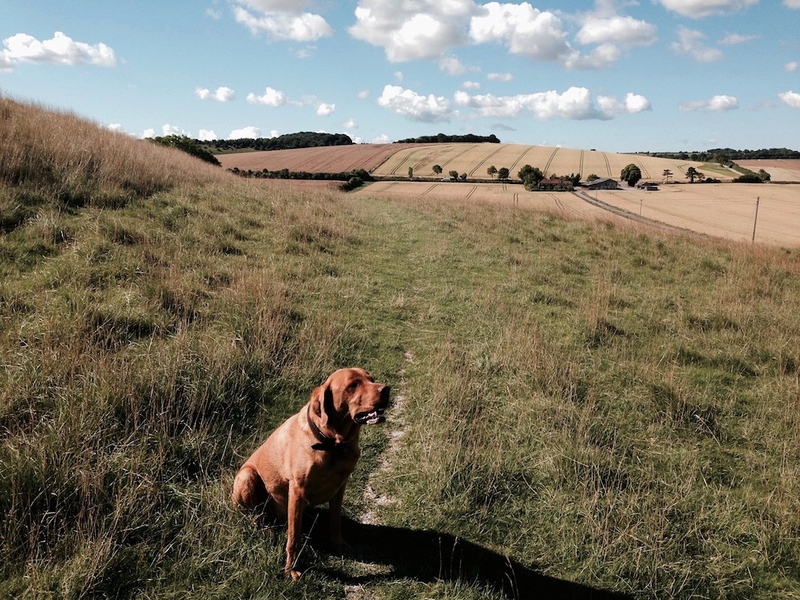 My dog loves running wild up and down the hills, as do the kids, and there are great views from the top. And when we’ve walked up a thirst, we head to The Fox and Hounds for a leisurely Sunday lunch. Just north of Buckingham, this National Trust estate is a real beauty, with its gorgeous Capability Brown gardens. 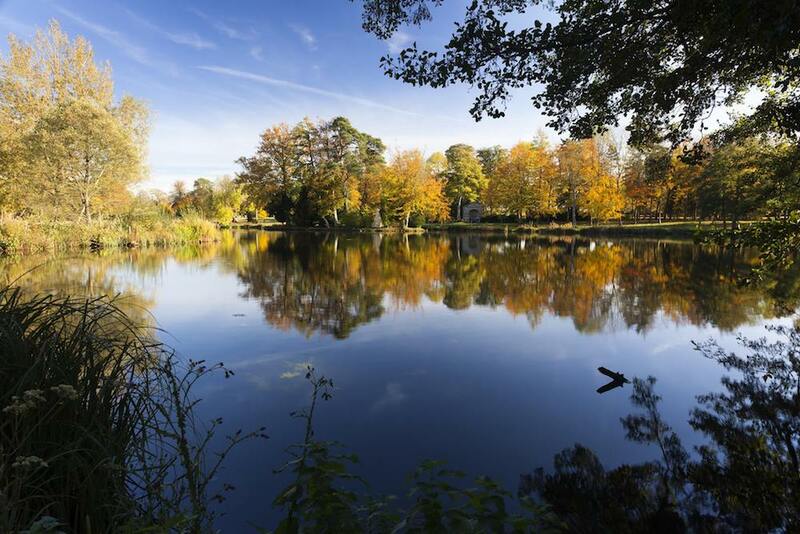 You could try the woodland and deer park walk (2.5 miles) or a more gentle 1.2 mile one around the lake, complete with views of the house. It’s ideal for little legs with its many temples and resting spots, and you can also hire buggies – I did this with my dad a few times as he couldn’t walk far and it was a lovely way to include him in our day. Then I usually head a couple of miles down the road into Buckingham itself to refuel – try fun pizza joint Louis at Nelson Street, The Garage Bar for a more refined vibe (you’ll love the massive windows and double height ceilings) or try The Old Thatched Inn at Adstock a couple of miles south for more traditional pub surroundings. This is my local spot in South Oxon for blowing the cobwebs away. The short version is just shy of 7 miles or, if you’ve got a lot of mince pies to burn off you can bolt on a 2.5 mile extension by heading on to the Ridgeway. If you have young children, bear in mind it’s a bit hilly and there are a few turnstiles along the way. For food, try The Fat Frog in Aston Tirrold, which is very gastro and fairly pricey, or the more traditional, charming Red Lion pub in Blewbury. As you might’ve guessed, this involves a hill and a pretty steep one at that – my main tip is to park at the bottom, rather than the top so your return leg isn’t too arduous. 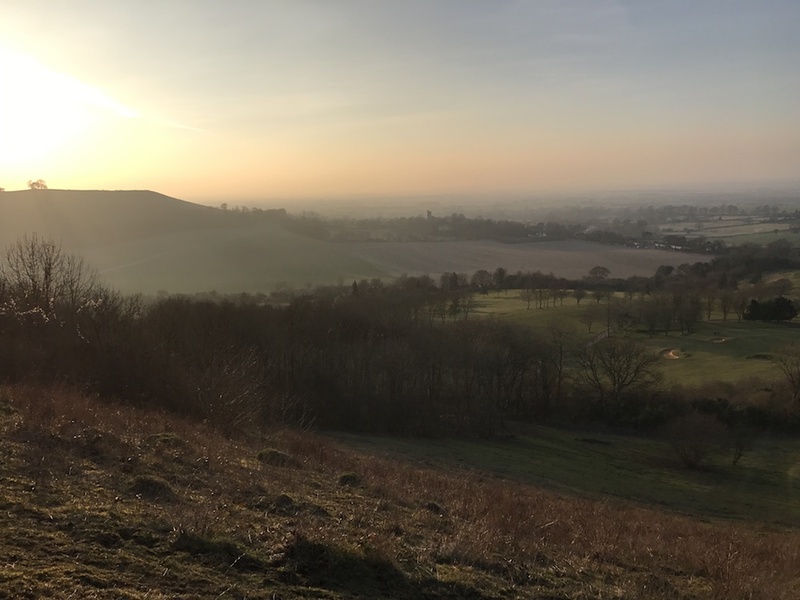 The 5-7 mile hike is worth the climb though to take in the epic views across the Aylesbury Vale, Dunstable Downs and the PM’s country residence, Chequers (is that Theresa May punching a wall in the far distance?!). You’ll definitely deserve some R&R after this one – for me it has to be The Russell Arms in Butlers Cross at the bottom of the hill. 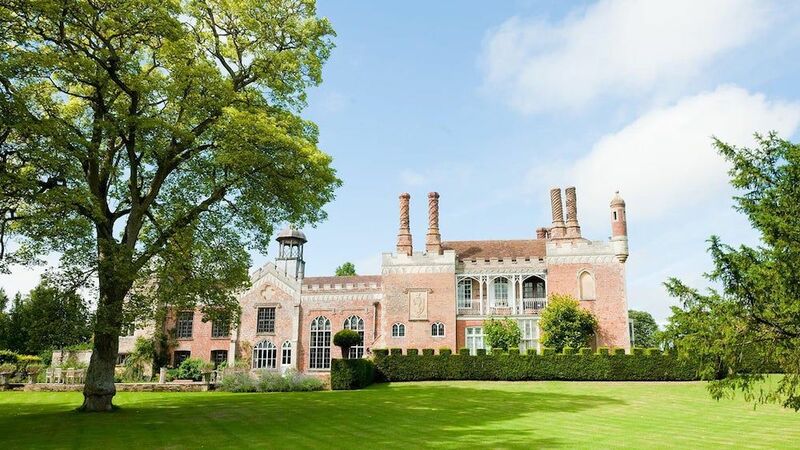 This National Trust estate is just across the border in Herts but worth travelling for. 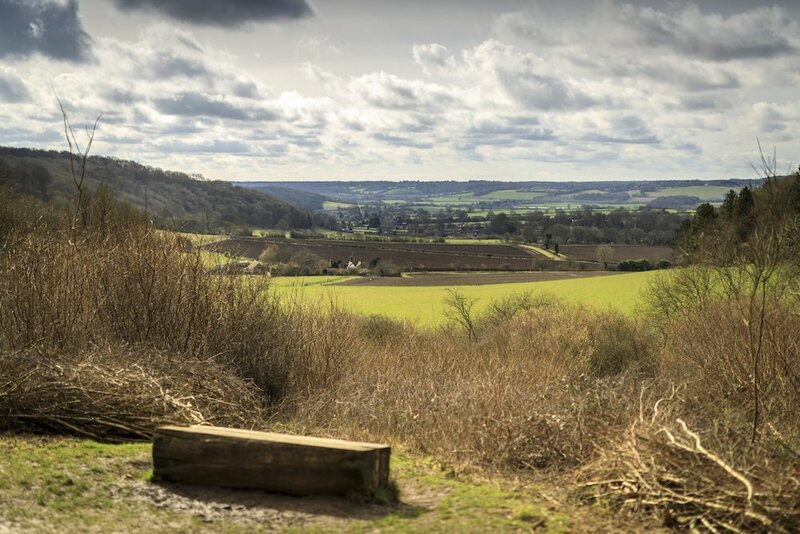 With 5,000 acres of the Chiltern Hills and woodland to romp around, there are plenty of walks to choose from, parking is free and the paths are buggy-friendly. Afterwards warm up in front of the roaring fire at family-owned country inn, The Greyhound, in the pretty village of Aldbury. This five-miler takes in the villages of Tylers Hill and Ley Hill plus a stroll along the side of the River Chess. We tend to stop along the way at trad boozer The Crown in Ley Hill, which is both kiddie and doggy friendly though don’t expect anything salubrious. For more chichi surroundings, take a short drive to the De Vere Latimer Estate just outside Chesham – there’s a super-stylish, family-friendly restaurant there. Hey, I’m the editor, I’m allowed two entries! Anyway I’ll need two Christmas walks, given the amount of mince pies I’ve been mainlining. There’s plenty of pretty Cotswold stone cottages to gawp at on this 5.5 mile loop around two villages, taking in woodland, a nature reserve and an historic canal lock. Once I’ve worked up an appetite, I like to pop into The Dashwood in Kirtlington (closed Boxing Day so don’t go then). 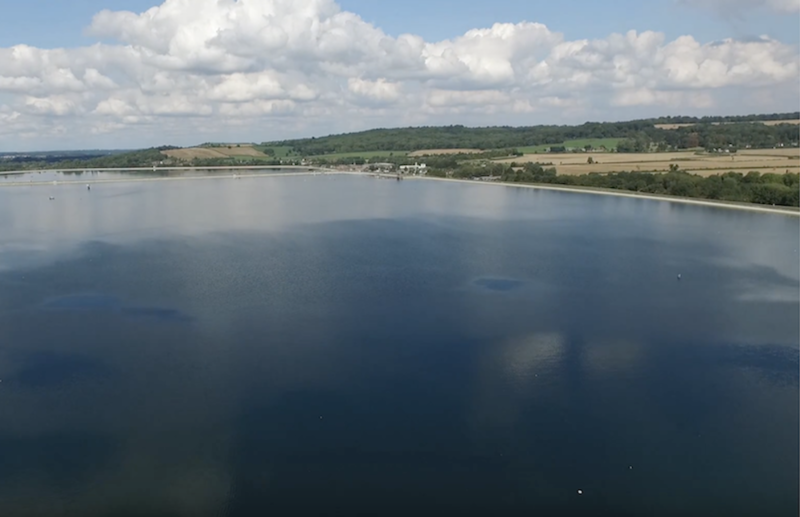 Alternatively head out to Chipping Norton – there’s a fab walk that takes in the delights of Chippy itself plus the lovely villages of Kingham and Churchill (see walk 8). 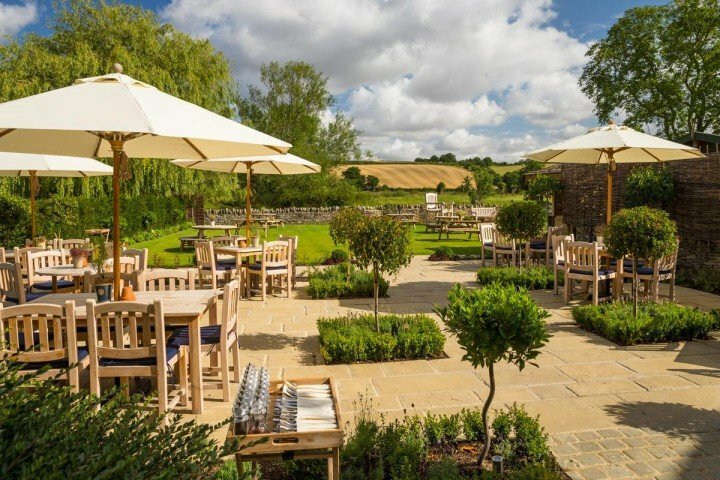 More amazing pubs than you can shake a stick at in this neck of the woods but The Chequers at Churchill and The Kingham Plough are two obvious corkers. We love to walk in Penn Woods on Boxing Day, finishing up at The Squirrel in Penn Street. Great for kids and dogs.